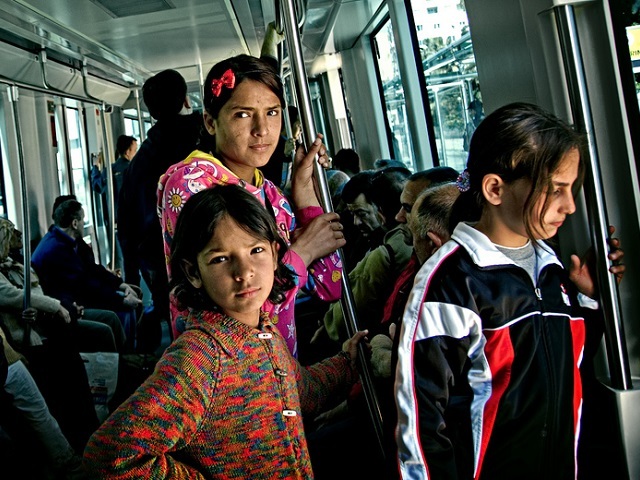 Young women ride the tram in Antalya, Turkey. Antalya is one of Turkey’s second tier cities that currently faces the significant challenges of rapid urbanization and escalating rates of private motorization. Photo by Melissa Maples/Flickr. Turkey’s urban population has grown from 25% of its total population in the 1950s to 77% today – a figure well above its global counterpart of 52%. In a little more than half a century, rapid urbanization has transformed the country’s economic and demographic structure. Despite a modest decline in the rate of urban growth nationally to about 3% annually, sustained growth is still occurring in Turkey’s second tier metropolitan municipalities – cities that have less capacity to sustainably accommodate growth because they don’t attract as much investment as major urban centers, like Istanbul. Urban transport systems in cities like Antalya, Gaziantep, and Kocaeli are particularly insufficient to support their ever-expanding populations, which grow by about 5% each year. This infrastructure lapse drives increasing private motorization and congestion in many cities, thus decreasing the quality of life for Turkey’s urban residents. In order to ensure the healthy development of Turkey’s second tier cities, it is crucial to develop strategies that will boost their resilience. The recent Livable Cities Symposium held by EMBARQ Turkey in Istanbul featured a presentation by Stephen Karam, the Sustainable Development Sector Leader of The World Bank’s Turkey Country Program. In his presentation, Karam identified urban transport – including mass transport systems and infrastructure for non-motorized transport, like bicycling and walking – as a key element of successful, sustainable cities. And accelerating investments for urban transport systems is a necessary prerequisite for their improvement. Unfortunately, Turkey has experienced a worrying trend throughout the past four years: a decline in capital expenditures relative to total expenditures. In short, there’s less money being put towards systems and infrastructure that can support long-term urban population growth. This trend is a direct result of an overemphasis on short-term financing by municipal governments. Currently, over 50% of the city governments’ debt is committed to short-term investments that don’t help finance long-term needs – such as mass transport solutions that will be cost-effective in the long-term, but require up front investments and long payback periods. Overcoming this funding gap for long-term investments will require a change in mindset regarding inter-generational equity – should today’s city residents pay for future generation uses? Or perhaps a more appropriate question would be how else to ensure a higher quality of life for urban residents – both today and tomorrow – if we continue to shy away from long-term investments? One trend that highlights the need for investing in mass transport systems in Turkey is the country’s ballooning car ownership rate. Over the past 30 years, Turkey has seen the rate of car ownership increase from 15 cars per 1,000 people to 190 cars per 1,000 people, putting the country on track to equal highly motorized countries like the United States, New Zealand, and Australia. Since many industrialized economies like these are increasingly trying to limit car usage in order to relieve traffic congestion, improve air quality, enhance public health, and promote other sustainable modes of transport, increasing private motorization would be a step backwards for Turkey. One negative externality of the “car culture” that so often drives private motorization is inefficient development on the outskirts of metropolitan regions, which results in urban sprawl. A set of policies that can help mitigate this trend and make cities function better for people is transit-oriented development (TOD). TOD fosters walkable, more livable cities by increasing density and encouraging mixed-use residential and commercial development. Moreover, TOD increases accessibility by making it easier to connect to transport modes like bus or metro. Through encouraging long-term investments in urban transport systems and focusing urban development around those systems, Turkey’s urban development can adopt a more sustainable path. With a commitment to these measures, Turkey can avoid the negative impacts of rapid urbanization and use this urban boom as an opportunity to build more sustainable and livable cities. This post was inspired by an article published in Turkish on TheCityFix Türkiye.